Blockchain-based firm Ledger Atlas recently announced their intention to establish a free and special economic zone in the middle of Papua New Guinea, a developing country in the southwestern Pacific Ocean. The zone was established via a semi-binding legal agreement known as a Memorandum of Understanding, or MoU. This startup seeks to capitalize on the interest of citizens of the small country in the blockchain and blockchain technology to create a zone where innovative blockchain discoveries are encouraged and economically incentivized. In the long term, the startup theorizes that the technological economic zone will help to revitalize the island principality’s economy. Though several significant obstacles stand in the way of Ledger Atlas establishing a long-term economic zone in Papua New Guinea, the progress made thus far is promising for the company and the country alike. Consequently, it this latest development is of great importance for the long-term establishment of a blockchain-based economic ecosystem within Papua New Guinea. There is a reason that Papua New Guinea is the pilot participant in the blockchain startup’s latest efforts to create blockchain-based economic zones in countries all over the world. At the moment, the country gains its primary income from traditional mining efforts, including natural gas and wood products. The main draw of the country economically-speaking is its government’s minimal tax rates for major companies. Perhaps even more troubling, the Bank of Papua New Guinea finds that nearly 85 percent of low-income Papa New Guinea constituents lack access to key financial institutions and services. This lack of resources is one key issue that Ledger Atlas seeks to redress in their creation of this economic zone. This goal is in-line with the long-term economic prerogatives of the Bank of Papua New Guinea, who outlines that financial inclusion is the key to future economic development. Public ledger technology is the key to the economic zone being established in Papua New Guinea. This economic zone will become a “global financial center” from which all blockchain activity will be allowed to occur, according to the Memorandum of Understanding signed by the company. Several obstacles do exist before this economic zone can have the desired effect on the economy of the island country. In particular, it is necessary to secure the institutionalized support of several additional governmental agencies in Papa New Guinea. 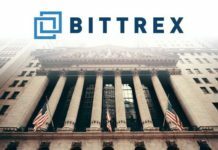 Moving forward, the company is also looking to gain financial support from key investors in the cryptocurrency community. Following both institutional and economic assistance in the heavily-logistical process of establishing this economic zone, Ledger Atlas could very well assist in the realization of long-term economic inclusion goals of Papa New Guinea.